1. 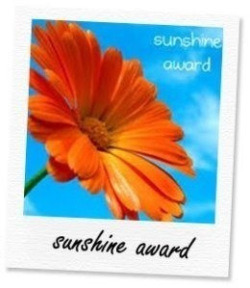 Copy and paste the award on your blog. Thank the person who nominated you and link back to their blog. 3. Nominate blogs with 200 or less followers who you feel deserve to be noticed and leave a comment on their blog letting them know they have been chosen. 1. What one change would you like to see most in the world? 2. What is a culture you admire and why? I do not know if this counts as a culture, per se, but I am going to go with the Quakers. I went to a Quaker University and was astounded by their desire to find ‘center’ and peace in a world so full of chaos. I remember how the concept of spending time in silence and meditation was so foreign to me when I began my Freshman year. This is something I still value whenever I can get it. I also admire their emphasis on caring for the elderly and serving those around them. Every summer, I would spend one week with my grandparents. I loved being the only child during that week. My grandfather had trained the local blue jays to sit on your hand for a peanut, so I would spend hours out in the garden squealing when a bird swooped down and landed on my hand, and rolled with laughter on the cement paths when they tried to nest in my grandfather’s coarse, curly hair. After giving the birds their daily allotment, into the house I would go to deliver a bouquet of freshly cut roses to my grandmother. She would then tie a fluffy, ruffled apron around my waist and assign me the task of measuring out the dry ingredients for a cake, dumping everything into her large corningware bowls. After baking, we often would finish the afternoon walking up and down the Santa Barbara Pier. It was perfect. 4. What first inspired you to start blogging? 5. What impact has blogging had on your life? I find blogging a soothing way to sort through some of my feelings, so in a way it has been a bit of online therapy. I also have really enjoyed finding other moms who blog – it is encouraging to know that my fumbles and failures during this new phase of life are somewhat normal. 6. What is the most profound thing you have ever done? Give birth, in a tub, in my living room. I have never felt more alive than in the moment I pulled my daughter out of the water. 7. If you had one super power, what would you want it to be? I am afraid that if I go with telekinesis, it will be a bit too close to Stephen King’s Carrie, so I will go with Omni-linguism. Languages have always been difficult for me to pick up, so the ability to simply understand them all would be awesome. What free time? I have a five month old. 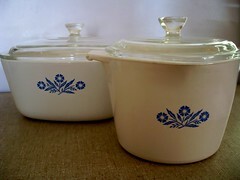 One day, I will return to some of my hobbies which include quilting, gardening, and canning jams and jellies. For now, I keep pretty busy with a baby and a blog. Here and there, I sneak in a bubble bath. 9. If you could travel anywhere in the world, where would it be? 11. How do you imagine your life will be different in two years? I will have a 2-year-old! Beyond that, well, it is anyone’s guess. 2. I am somewhat obsessive about Christmas. I have a countdown going year-round on my computer (291 days to go! ), I own more Christmas music than any other genre, and I find nothing more enjoyable than admiring twinkle lights while sipping a peppermint mocha. 3. I studied Musical Theatre. Favorite past roles include Elizabeth Proctor in The Crucible and Jack’s Mom in Into the Woods. 5. I have a mole inside my belly button. Gross, I know. 6. Autumn is my favorite season. 7. I cry at Hallmark commercials. Furthermore, I weep at ASPCA commercials, especially the one with Sarah McLachlan. What can I say? I’m a softy. 10. My Amortentia (Harry Potter love potion) would smell like rain, freshly grated nutmeg, freshly baked bread, burning wood, ocean air, and coffee. 11. When I was young, I had two hamsters named Ding and Dong. This was all well and good until Ding died. 1. What one piece of advice do you wish someone had told you? 2. Chocolate: Milk or Dark? 10. What personal goal do you doubt you will ever achieve but still strive for? 11. If you were a kitchen utensil, what would you be and why? The sisters, Wendy and Karen over at After the Kids Leave. These ladies live an ocean apart, and write letters to each other in their blog. I am always laughing at their clever banter. Melanie Jean Juneau at The Joy of Nine. Yup, you read that correctly. She still uses ‘Joy’ as a descriptor for raising NINE kids! I am in awe!!! 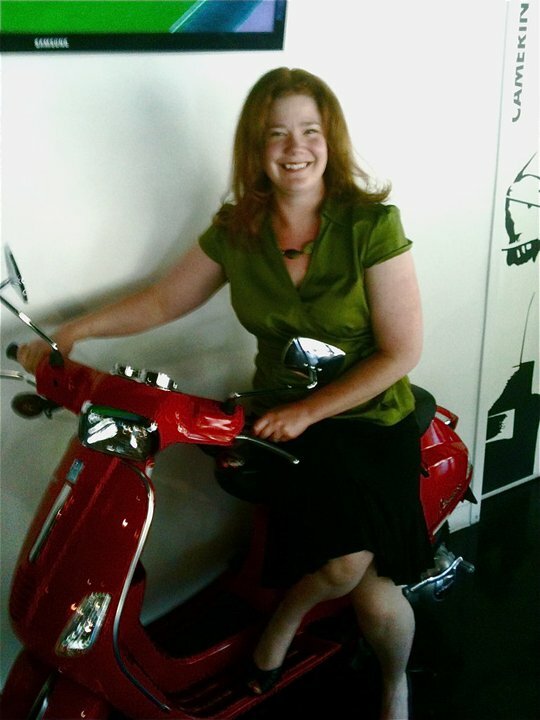 And, my absolute favorite blog to read, Jenny at The Momplex . She has made me snort my coffee on more occasions than I would like to admit. Carrie! I’m so proud. Your blogs are so freaking funny to read.. and you are an inspiration. Seriously. If I could nominated you for best mommy blog ever.. I totally would!! Hi. Its a date! ready and willing. Will put plenty of research into the pubs so I have it perfect for you arrival. Congrats. I’m sure your little girl will drink to that! Oh and I also had a home birth. Thanks so much for this great nomination! 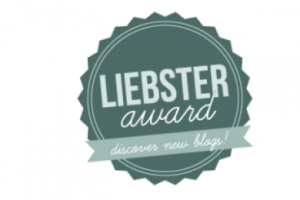 We’re so glad you like our blog, and feel honored that you’d think to pass the Liebster on to us.